As you may be aware, Microsoft stopped supporting its XP operating system some years ago. This has lead to a range of issues for software developers like SOLV®, notably in the area of security. We have now reached the point where supporting Windows XP negatively impacts the development of FLOWSOLV® and its user experience. We are therefore no longer able to support new FLOWSOLV® licence installations for Windows XP operating systems. If you are running FLOWSOLV® on Windows XP we will still assist with reregistration and reinstallation as a result from a change of PC. However, we will not be able to offer any further installation assistance. Copyright © 2019, SOLV Limited. All rights reserved. 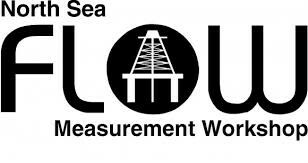 SOLV® recently attended and presented a paper at the North Sea Flow Measurement Workshop held in Aberdeen, Scotland. 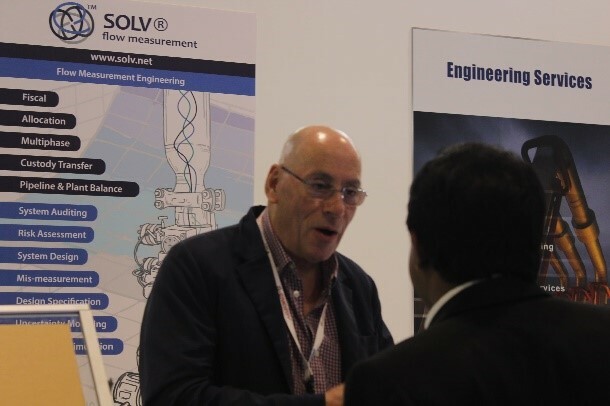 The workshop is perhaps the premier flow measurement conference and SOLV® have attended and presented papers for over 20 years. Our paper describes each stage of deployment of the PAS (Production Allocation System) for a 200 kbpd oil development from concept through to operation; balancing to <0.5% of throughput, which we have recently verified with our client. SOLV® is a unique flow measurement, allocation design and support engineering consultancy based in Scotland. For assistance with your measurement system design, operation or management, contact us at info@solv.net. Copyright © 2018, SOLV Limited. All rights reserved. SOLV® attended and exhibited at the American Petroleum Institute, Fall Committee of Petroleum Measurement Conference in San Francisco, California in October. We participate in the working groups for several existing standards including API Standard Chapter 20.3 Alternative Technologies Multiphase Meters currently being updated. A major Persian Gulf State operator has awarded SOLV® Limited a continuing contract for ongoing flow measurement consultancy services. Covering all plant Custody Transfer, LACT and process metering points SOLV® has helped in both the design and operational phases of the plant. SOLV® Limited has been awarded an Allocation Support contract renewal with a major North African 0perator. We have been involved since detailed design through commission and operation on a complex mass based allocation system with multiple stake owners and field owners. Tracking components to C20+ of crude oil, natural gas and NGL at 70 measurement points, we have helped to maintain a daily system balance of less than 0.5% from the well head to Sales Metering points from start-up. SOLV® is a unique flow measurement, allocation design and support engineering consultancy based in Scotland. Working globally, we can advise on your Allocation system, design, operation or management. Please contact us at info@solv.net. Working with our exclusive Oman representative Ras Al-Hamra LLC we recently attended the 11th OGWA 2018, Oman’s Oil & Gas Exhibition and Conference, meeting local customers both old and new. We discussed several areas of measurement and allocation with key operator personnel as well as showcasing our flow measurement calculation package FLOWSOLV® V5.1 PRO Oil & GAS. Based in Scotland, but working globally, SOLV® is a unique flow measurement, allocation design and support engineering consultancy. Please contact our exclusive representative Ras Al-Hamra LLC in Oman [tony@ras.co.om], for an initial consultation on your Measurement or Allocation system requirements. SOLV® Limited attended the American Petroleum Institute, Spring Committee of Petroleum Measurement Conference in Dallas, Texas in March. We participate in the working groups for several existing standards including API Standard Chapter 20.3 Alternative Technologies Multiphase Meters currently being updated. SOLV® is uniquely placed as a flow measurement, allocation design and support engineering consultancy based in Scotland. Our unique experience in the specification and operation of Multiphase flow meters enables us to contribute to the development of this overdue standard with real-world application experience. For more information of how we can help you in your multiphase applications, please contact us at info@solv.net. FLOWSOLV® V5.1 includes API MPMS Chapter 11.1 2004. This calculation finds the temperature and pressure volume correction factors for generalised crude oils, refined products and lubricating oils. The calculation is very flexible and the corrections factors are applied to base, observed and alternate conditions enabling the user to tailor the calculation to individual operating and base conditions. SOLV is an innovative flow measurement engineering and software company. We provide a flow measurement engineering and consultancy service for fiscal, multiphase, allocation and process flow measurement in upstream oil and gas production, petrochemical, and power generation. Our metering expertise and programming skills mean we are equipped to produce software which meets your requirements - either by adapting our existing software or by developing to your specifications.